Q.1 Tell me what made you decide to self-publish and how you’ve found the experience? It is certainly challenging. I find I spend more time promoting my published work then doing any actual writing. It gets frustrating at times because I know I have to promote to sell, but I’m not seeing sales so I want to write my new stuff, but I know I have to promote… see? 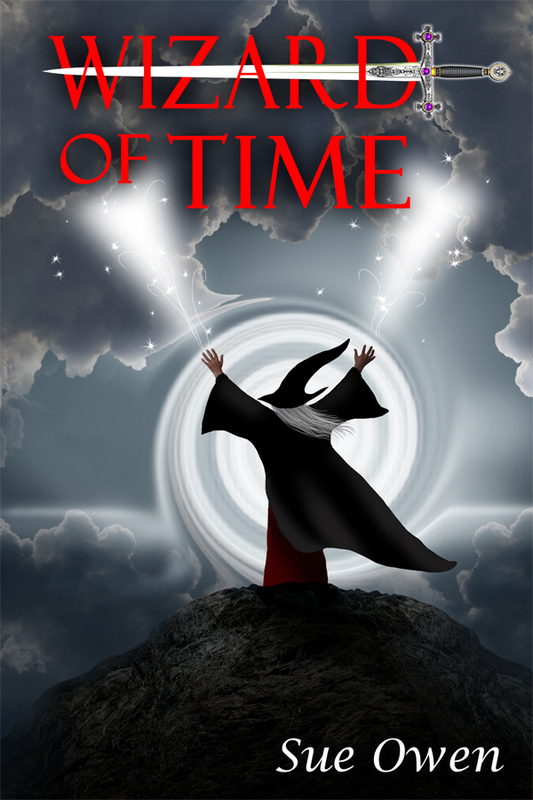 Q.2 Your book Wizard of Time is a young adult book with historical and mythological elements. How much research did you have to do to get it right? I did a lot of research in the time period and in the historical references of King Arthur, Guinevere, Merlin, etc. I wanted to make sure what I was proposing would be plausible. I also had to do some research on what tools and things were available during that time. One of my proofreaders caught the fact that I was having them eat meat and potatoes in a time that was about 500 years before potatoes were even known about in Europe! Who knew?! Q.3 Do you write for adults as well or is writing for children and young adults your main passion? I’m working on a couple of adult books. I do like the YA genre because of all the possibilities. Kids have way more imagination than adults. With adults you have to point everything out and then make them believe it. With kids that age, you just point and they get it. Q.4 You live in Oregon and you write in your bio that you can’t imagine living anywhere else with the exception of Tuscany. Have you been to Italy? Never been to Italy. I’ve been told that, other than the language, it’s just like here temperature wise. So everyone buy my books and send me to Italy and I’ll write about it! Q.5 What life experiences have you drawn on in writing your novels? Mostly it’s my imagination. However, I do owe some of my story idea to a game called World of Warcraft. Maybe I’ll use more real experiences in my other books. Q.6 Do you listen to music when you write? If so, recommend some rockin’ writing tunes for the nice people. Nope. I like peace and quiet when I write. Bird song is about my only tolerance. Q.7 How did you go about finding your editor, and how have you found the process of working with an editor? You could say that I “grew” my editor, since she happens to be my oldest daughter. However, I do have two others I rely on heavily and they are my great friends. We edit each other’s work. Q.8 Tell me one crazy fact few people know about Sue Owen. I love video games… Just got an x-box and discovered Dungeons and Dragons. I love killing the trolls! Q.9 What is the one tip you would give other indie authors? Hang in there. This is NOT an overnight success industry, despite what authors like Amanda Hocking might lead you to believe. If you listen to closely to Amanda’s interviews, she had almost 17 books written before she started publishing anything, and even then she keeps 7 or 8 active at all times. Sure she sells amazing amounts of books, but you can bet she’s worked her little twitter fingers off to get there. Q10. What do you hope readers take away with them after reading your books? Happiness. I am not out to educate anyone. I love to read for entertainment and I write for the same reason. I hope they get a great story that makes them happy. I’ll give away a secret … NEVER will you find a book written by me with a sad ending. If I have to kill off the good guy, you can bet something great will happen afterwards. I hate books that make me cry at the end, so I will not write one. Hopefully I won’t have to eat my words, but that’s my story and I’m sticking to it! excellent job of self-publishing, self-promoting and really sticking it to those agents and publishers who once neglected to pick up her stories. 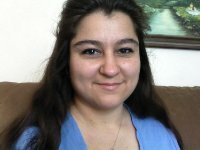 Lizzy recently hosted me on her every successful blog, so I’ve been looking forward to turning the tables on her, but with all her writing (she’s got more than six ebooks out there attracting a host of fans), responding to her many many readers, and promoting her works, she’s a hard girl to pin down. Here’s what she had to say about her indie journey and why, like so many self-publishers, she just wishes she’d done it even sooner. Q.1 Tell me about Lizzy Ford’s journey to self-publication and how satisfied you are with the results? The journey to self-publication was rough, rife with doubt and anger! After ten years of trying (and failing) to land an editor or agent, I decided to give self-publishing a shot. It’s been one of the best decisions I’ve ever made for my writing and my self-esteem. I was ready to give upon both! Q.2 I see you’ve just realised a new title, Kiera’s Moon, a sci-fi fantasy romance available for free download on your blog. You do free releases quite a bit. How is that working for you as a strategy? I’ve built up a fantastic reader base and am increasing my Amazon sales and free downloads every month. My mailing list is growing, and I’ve been among Smashwords top 5 most viewed authors for awhile, in addition to seeing my website bring in more and more traffic. All but one of my books have made Amazon bestseller lists in their categories, and a few have hung out in one or more list for quite awhile. Q.3 You like to do a bit of a genre “mash-up” in your novels. Who would you say are other authors in genres that have inspired you? I love Lynn Kurland, who writes sweet fantasy romance. Jane Austin, literary fiction, and Walter Farley, young adult fantasy fiction. Q.4 In Kiera’s Moon, I love the idea of Kiera’s friend dragging her across the universe to find a man. It really speaks of the desperation of some girls, particularly in their thirties, when it comes to the man drought. I’ve been there myself, but wouldn’t go back there for quids. Do you enjoy tapping into that single girl mentality and living vicariously through your characters? I’m closer to Kiera’s character than her friend’s! I’m an introvert who’s happy with my little world and never understood the party, bar, or other scenes that seem to be of interest to normal girls. My background has been in strategic planning and program management, and I apply the concepts I learned there to my approach of my writing. As for life experiences … I guess those that taught me perseverance and self-sufficiency. My characters are routinely challenged by situations where they must make tough decisions about themselves and others, even when all their options seem bad. Sometimes, when I need to focus or when I have to write something dark. I’m happy by nature, so scenes that require anger, sadness, or similar aren’t easy for me to write without something to drag my mood down. For dark moods, modern composer Rene Gruss is on my go-to list. When I need to focus (because the TV is on), I listen to Kanye West and other rap, or dance songs. Q.7 How did you go about finding your editors and how on earth did you get them to work gratis—do you pay them in chocolate or something, Lizzy? Haha! My good editor, Christine, I pay—I just don’t pay her much. ☺ I offered her a 12-book deal and to help promote her. Christine gets about two referrals a month from me, of which at least one ends up as a new client. My cover artist, Dafeenah, is free. I do the same for her: send her referrals and pay her in books. She’s gotten about one new client a month from me that way. In addition, I offered them both raises at the beginning of 2012, when we plan on monetizing my books, and am looking at either a cut of royalties or paying them above-industry standard for their services. Both Christine and Dafeenah are wonderful and awesome to work with. I just have to refer someone once and s/he will end up going back. Q.8 Tell me one crazy fact few people know Lizzy Ford. If I ever make it big as an author, I’m going to buy a mini micro pig. They’re just so cool looking. I also travel a lot for my job, so I tend to fall off the radar for 2–3 days at a time. Q.9 For all indie authors, blogging and social media promotion is a must, but it can also be very time consuming. How do you manage to run such a successful blog and still find time write? I’m really lucky; my husband handles all the IT, online presence development and search engine optimization chores. I post once, sometimes twice, on my blog every week and focus more on generating fun and genuine conversations with those who leave me comments. In general, we’re smart about where I spend my online time and efforts. We use Google Analytics to identify where traffic is coming from, which allows us to measure the impact of what I’m doing when I’m online elsewhere and tweak my activities on a near real-time basis. I also prioritize what I do online, which usually involves responding to readers and requests for interviews/guest blog posts then surfing blogs or Kindleboards or Facebook or Twitter or GR, etc. Finally, I accepted that this writing gig and all it entails is my second full time job and spend about 6 hours every weekday and 12–16 hours on the weekends writing or being online. Q10. What is the one thing you hope readers take away with them after reading your books? Thank you, Lizzy. You’re an inspiration. Here I am enjoying a lovely sleep-in, courtesy of my wonderful partner (who has put up with Selena’s sooking for several hours this morning) and meanwhile David Gaughran is singing my praises over on his very popular blog! Thanks Dave. I couldn’t ask for a lovelier author to work with, and such a go-getter too. I wanted to weigh in to say that I believe several factors, above all others, make an edit effective, but this got way to long to post over there, so here it is instead. The first—and I think the most important element of successful editing—is that the editor respects the author’s work so that the “essence” of the work remains intact (how very existentialist of me). That doesn’t mean a sentence can’t be completely flipped on its end and made better for it, that a paragraph or even a subplot can’t be deleted, or that a scene shouldn’t be rewritten from scratch, but that the “point” of the sentence, the paragraph or scene remains the same, although enhanced by the change. I notice someone mentioned in the comments on Dave’s post that their editor amended colloquial language crucial to the story, and that is a case where the editor has failed to understand the essence of the work. As an editor, part of the process is understanding that this is the author’s work, not your own, and that there may be parts that irk you but may not necessarily bother the “average” reader, or aspects that are critical to the character portrayal and “feel” of the work, even if they bend the “rules” somewhat. (And let me tell you, when it comes to fiction most rules can bend and several should be entirely snapped in half and thrown in the trash). Authors should ensure they seek a sample edit, but they also need to instruct the editor if there are elements they specifically do not want changed. The editor may still make suggestions if something really bothers them, but will then know not to spend a lot of time on those sections of the text. Another must-have element is an author who maintains an open mind and doesn’t let his or her ego determine what gets changed, but instead employs logic, critical reasoning, or even intuition to the process of amending work. Some authors instinctively know what is right for their work and their characters, and that is a wonderful thing. Ego, however, makes a very poor proofreader. I don’t think any freelance editor expects that an author will accept 100% of their changes, but when an author is able to critically assess those recommendations and cherry pick the ones that work for a story that is a wonderful thing too. Apparently, I have about a 90% to 95% “acceptance” rate for my suggested changes with my clients. Would I like it to be higher?—sure. I’d love it to be 99%. “Ninety-nine percent?” you ask. “Why not 100%?” Well, you see, I don’t want my authors to be automatons. I don’t want them to just blindly take my word for it; I want them to learn how to make editorial decisions for themselves. The author is the master of their own words and they must also be judge, jury, and executioner. I need to grant them the right to be that. Much of an editor’s job is persuasion and negotiation. In order for them to see the value in my changes, I must explain those amendments to them in such a way that they feel compelled to adopt them. If I don’t—if I fail to do that—then of course they will reject that change; their ego will reject it and their critical mind will reject it because it hasn’t been convinced that it is necessary or beneficial. Only explanations I make coherently, honestly and convincingly will make that author a more formidable writer. Perversely, that may also mean there will come a day when they no longer need lil’ ole freelance me, because they’ve landed a lucrative trade deal and an inhouse editor (who may well edit their work entirely differently, but that’s okay, there is more than one way to edit a novel effectively). Dave Gaughran, I’m watching you! Thanks for putting up with my rants, my erratic posting, and my frequent absences. It’s back to the business this week and I’m working on a post about copyright for next week. I tend to not get too political on my blog, which is mostly for writing, editing and publishing, as well as a few other posts on parenting and my day-to-day life, but today the escalating rioting in London has bothered me so much that I felt I had to weigh in. I lived in London for the better part of three years, moving around (as backpackers do) from Crouch End to Turnpike Lane (up near Wood Green) and eventually to sleepy little Stoneleigh in Surrey. Some of my best friends in the world are Londoners, and I love them. I love their humour, their stoicism, their concern for others, their leftist leanings (which as you’ll see I sometimes find amusing) and, sometimes, their irreverence. Even their political correctness I can live with, mostly because I know it comes from a foundation of respect for others. What always amazed me was how Londoners could live crammed in a human stew of people and yet be unflinchingly polite and respectful. At least that is mostly what I observed. The scenes of hooded (and masked) cowards destroying one of the world’s greatest cities and terrorising some of the world’s proudest people has not only shocked me, it has sickened me. This is a nation that has fought through two world wars, battled through the blitz and sent its young men and women throughout Europe to the beaches of France (in an incredible, last ditch triumph) to protect the values it holds dear. This is a country where healthcare is available (not matter how many times I have bemoaned the inefficiency of the NHS), where clean water comes out of a tap, where food is plentiful, where jobs are available, where education is accessible (if not entirely free), where human rights are championed. This is a country that has stepped in many times to play the policeman in conflicts worldwide. Sure, Britain has made its fair share of mistakes. Public policy and international relations are not above reproach, but the Empire days are long gone and I’d bet life in Britain is a darn sight better than life in 90% of the world’s countries. What disturbs me most is that these youth ARE from a privileged country. Sure they might belong to the most underprivileged segments of that society, but these are not “poverty stricken” people by chance, but by choice. Now you’re probably thinking “Oh, that’s harsh. No one chooses to be poor.” But I don’t believe that. It is time people started to accept responsibility for their lives. We all have choices. While we cannot choose the family we are born into, or even the suburbs we grow up in, we can choose to rise out of poverty. We can, in such countries, apply ourselves to our studies. We can choose to learn, to read. We can choose to dream. We can choose to respect others. We can choose to work at McDonalds rather than be on welfare, even if it isn’t our dream job. We can choose not to drink or gamble our money away. We can choose whether to have self-respect or whether to be disrespectful in general. We can choose whether or not to have children. We can choose whether to raise them as decent human beings or as entitled, ungrateful little thugs.Above all else, we can choose to hope for better—to be better. This, to me, is symptomatic of a whole lot of poor choices, poor choices from governments and individuals. Poor choices from parents and terrible choices from young people who may not have chosen to be born into petty crime and poverty, but have chosen not only to stay on the wrong path but to make that their only source of pride. All of these contribute to the problem, but none of them are to “blame.” I see protests in Iraq or Somalia or Egypt other underprivileged countries and I think “Those poor people.” Even I might be driven to seek justice in those places. But when I see young Brits who have been born into one of the world’s wealthiest nations burning it down, it just makes me angry. It makes me angry, too, to see that some British parents have failed so spectacularly. They have failed to instill in their children any respect for others, for their history, for their nation, or for themselves. They have failed to remind their children that in a democracy they do have a voice and that voice is a vote. That voice is a peaceful protest, which Brits are, on the whole, very good at. (Actually turning up on a polling booth and putting a ballot in the box, however, is not). Now I don’t mean all parents. I don’t mean all kids. I know there are perfectly lovely British teenagers sitting at home and watching the carnage and wondering how this happened. There are parents who are fearful for their children’s future and for the future of their children’s children in the face of such hooliganism. But there are also an awful lot of angry, disrespectful anarchic kids out on the streets terrorising Londoners, looting, burning and showing a complete disregard for their own reputation, for authority or for anyone else. Make no mistake, these are not riots, these are not “protesters,” these are terrorists, and they are holding London and its Metropolitan Police force to ransom. Anyone crying “poor poverty stricken youth” is enabling them to do it. Entitling them almost. So many are quick to blame public policy, policing, multi-culturalism or parenting for this crisis. Not me. While I think these parents have failed, I don’t blame them (although I do think they’ve made poor choices too). I don’t blame the playstations. I don’t blame consumerism at the expense of consideration. Instant gratification at the expense of work ethic. I don’t even blame the rampant political correctness and the fact that everybody is too busy worrying about whether a smack on the bottom constitutes child abuse and not about whether burning, looting and shooting all day long while “gaming” just *might* be contributing to dissociating kids from reality. [Oooh, now I’m getting all conservative aren’t I? But in reality, my partner sits here some days playing Call of Duty for hours and yet I know he is a respectful man who would never replicate that behaviour outside of gaming, so I’m not calling for censorship, I’m calling for research]. I don’t blame any of these things. I blame the kids. I blame them because they have chosen to react in this way. I am tired of reading social commentary calling them “disenfranchised youth” or pointing the finger at the poverty in council estates, or the police presence and stop and searches in these neighborhoods (let’s talk about crime figures in these neighbourhoods, too, in that case). I’m tired of hearing about high unemployment among youth when so many of them can’t even string a sentence together because they chose to wag compulsory school to smoke drugs and harass people outside tube stations. This is Britain. Even the most poverty-stricken in this country must count themselves lucky (and I say that knowing how lucky I am to be an Aussie). If you can’t make a decent life for yourself in Britain, with the many government initiatives available to you, you can’t make it anywhere. Your choices have failed you. I’m all for democracy, I’m all for peaceful protests and the right to make a difference, but this is not protesting, this is not even rioting. This is not even negligent parenting or high unemployment or police intimidation. This is chaos, and there is no excuse for it. This is a complete unwillingness to be the best person you can be. Until we are willing to make our kids and our citizens take responsibility for their lives, their choices, and their actions, there will always be somebody or something else to blame. I started reading a wonderful novel called Blindsight by NZ author Maurice Gee the other day. It is … gasp … one of those old-fashioned things printed on … gulp … paper, but I’m reading it concurrently with several ebooks on my iPhone and, to be fair, I bought it secondhand. (I am probably one of the reasons Borders and Angus and Robertsons have gone under, as I like nothing better than spending the occasional Saturday morning kneeling uncomfortably on the cold linoleum floor of my local charity shop and picking up a preloved bargain. I do that because I am cheap love that someone else has read the book before me and passed it on, although whenever I come to a particularly suspect-looking stain I do wonder about my choices. Another good reason not to read erotica, I suppose. Anyhoo…) I’ve been a big fan of Mr Gee since I read The Halfmen of O as a child, and have continued to dip into his proliferation of novels ever since. Blindsight grabbed me as soon as I turned to the first page, and it did so because of the “hook”. Never underestimate the power of a great opening line, or indeed a great opening paragraph. I am going to give you a few examples here of some great openers. I believe including these counts as “fair use for the purpose of study or review” under the Copyright Act, and that this might be seen to be fair and free promotion for these authors’ works. If anyone else believes otherwise, then feel free to set the hounds of the law on me and I will remove them and run like the blazes, but I reckon I can get away with adding just a sentence/paragraph or two here on a non-commercial blog that links to Amazon. Father taught us how not to love. The thought came fully formed as my brother walked by. As usual he did not see me, for I never stand in his way, but he slowed his step and changed his line for others on the footpath: college girls in summer uniforms, office workers with swipe cards on their belts. The girls look away with that affronted expression the young, especially the female young, take on at the sight of dereliction and decay. They cannot believe in a fall of such magnitude and set their faces in hostility. Some of the office workers believe. A man, well dressed, said: ‘Gidday, mate.’ That was kind of him — or perhaps it expressed foreknowledge in some way. Gordon did not hear; but must, I believe, have heard the whispering in my head, the message, the reminder, from the sister he had loved. I dare not include more without seeking the author’s permission (in which case this blog post could be months away), but the next paragraph takes those mysterious elements (Why is she walking past her brother? What does she mean by I never stand in his way? What happened to Gordon and why is he a derelict? Why did she use ‘he had loved’? And, most enticingly, what does she mean by the somewhat ambiguous statement: ‘Father taught us how not to love’? ) and expands upon them even further, adding some even more provocative statements that completely reel the reader in. What is a daemon? And why is this girl sneaking down the hallway and avoiding the kitchen? Why has the author used “people who remained” (a nice bit of foreshadowing)? Why did Ibrahim go mad? Who is the protagonist, the keeper of this secret? And what guilt does Ibrahim have? Ten days after the war ended, my sister Laura drove a car off a bridge. — First sentence of The Blind Assassin by Margaret Atwood. Why so matter-of-fact, then, protagonist? And why after the war ended? And just plain ol’ why? It’s only half an hour since someone—Robyn I think—said we should write everything down, and it’s only twenty-nine minutes since I got chosen, and for those twenty-nine minutes I’ve had everyone crowded around me gazing at the blank page and yelling ideas and advice. Rack off guys! I’ll never get this done. I haven’t got a clue where to start and I can’t concentrate with all this noise. — First paragraph of Tomorrow, When the War Began, by John Marsden. Marsden very cleverly introduces not only his refreshingly down-to-earth, “farm-girl” teenage protagonist Ellie in this paragraph, he also introduces another main character (Robyn), drops hints that this group of kids is in an unusual situation, or at least unusual enough that it warrants writing down, and leaves the reader wondering what has happened. It also very effectively and firmly places this novel within the young adult genre. It was dolphin weather, when I sailed into Piraeus with my comrades of the Cretan bull-ring. Knossos had fallen, which time out of mind had ruled the seas. The smoke of the burning Labyrinth still clung to our clothes and hair. The Bull from the Sea is actually the sequel to Renault’s earlier The King Must Die, but I discovered it first, as an eleven-year-old, and I loved it. I have read it hundreds of times. Renault’s opening paragraph tells the reader so much in just a few sentences. The term “dolphin weather” coupled with the verb “sailed” brings to mind an idyllic sun-drenched day with dolphins leaping before the ship’s prow. “Piraeus” establishes she is talking about Athens, and the mention of Knossos and the bull-ring gives a sense of time, while “time out of mind” also reminds the reader of a long and ancient past. Ahhh, this is a historical novel. Thanks for the heads up, Mary. The evocative “smoke of the burning Labyrinth” clinging to our, as yet unidentified, protagonist and his “comrades”, adds a sensory touch that draws the reader into this world, right where Renault wants them. One night in November, another that had somehow become morning while she sat there, Georgie Jutland looked up to see her pale and furious face reflected in the window. Only a moment before she’d been perusing the blueprints for a thirty-two-foot Pain Clark from 1913, which a sailing enthusiast from Manila had posted on his website, but she was bumped by the server and was overtaken by such a silly rush of anger that she had to wonder what was happening to her. Neither the boat nor the bloke in Manila meant a damn thing to her; they were of as little consequence as every other site she’d visited in the last six hours. First paragraph of Dirt Music by Tim Winton. If you haven’t read all of these books yet, get thee to a bookstore, to an ebook store (or a secondhand bookstore or a library). 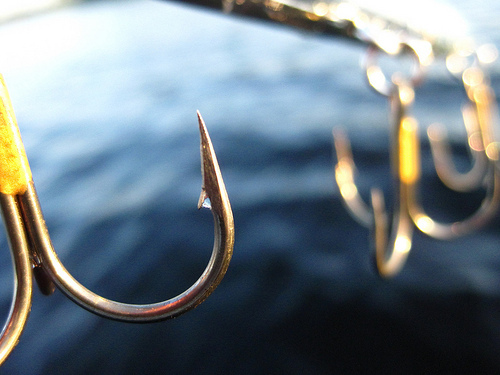 For me, the best hooks include intrigue, scene-setting, and a glimpse of at least one aspect of character, along with (in some cases) foreshadowing of what might be to come. Of course, a great novel has more than one hook and works more like a set of “jag hooks,” snaring the reader at least at each chapter opening and ending, if not at each scene change, preventing them from escaping the story even if they did want to. Does your first paragraph do enough of those things to reel in your little fishes and ensure they don’t swim off to someone else’s creative pond?